Tutankhamon is the perfect strain to grow as your own mother-plant. It is small, only 80-110cm, and branches nicely, so you can have many clones. 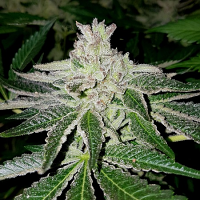 Tutankhamon Feminized Marijuana Seeds by Pyramid Seeds: Tutankhamon is the perfect strain to grow as your own mother-plant. It is small, only 80-110cm, and branches nicely, so you can have many clones. Tutankhamon requires 60 to 65 days of flowering to produce its very compact buds with an intense Skunk flavour - 500 grams, of which 22% is pure THC. 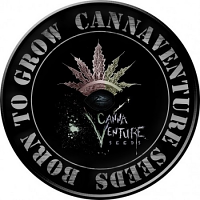 Tutankhamon Feminized by Pyramid Seeds is a high yielding variety with extremely potent weed. This very special AK-47 is the perfect strain to grow your own mother-plant because is compact, small and branches nicely, so you will have plenty of clones to work with. The plants stay at an average height of 80 to 110cm and produce their impressively fat buds within only 60 to 65 days of flowering - outdoors the Pharaoh will be ready for an audience by mid-October. Be careful not to choose a too humid spot for it as Tutankhamon Feminized from Pyramid Seeds is prone to fungal attacks due to his very compact buds. The cured end-product of Tutankhamon has an intense Skunk flavour and you will have 500 grams of it, of which 22% is pure THC. Enjoy the Pharaoh's green medicine provided by Pyramid Seeds.